I'm not one who cares much about what the neighbors do or have. But there has been this skull sitting across the fence that I see every time I look out my sewing room window. I never paid much attention to it until today. 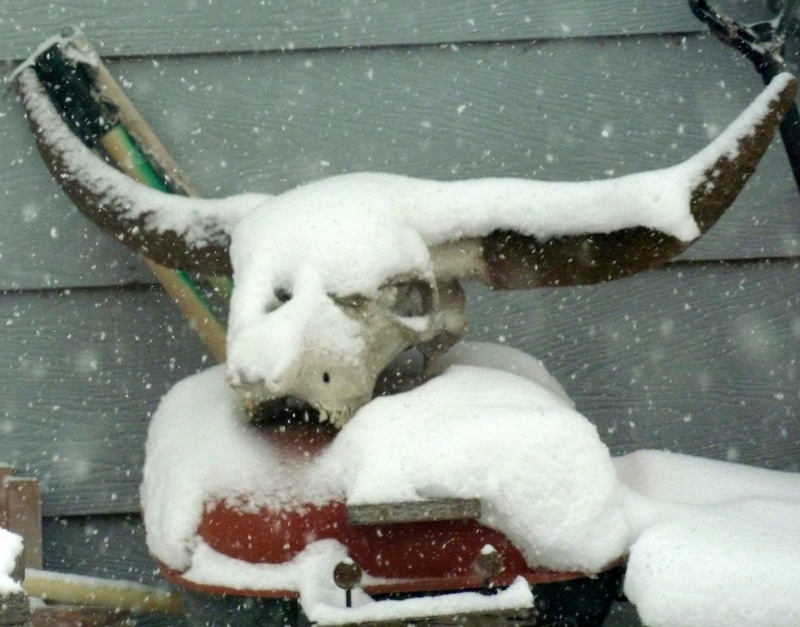 Something intrigued me about the snow coming down - and continuing to pile up - on a skull that sits on top of a barbecue.